In early June 2015, a friend and I ventured to Linear Fisheries (LF) for our annual week long fishing trip to the complex. Full of excitement for visiting the venue again after previous trips had been successful, not only for breaking PB’s but for overall beauty and experience of fishing ‘The Best Day Ticket Venue’ in the country, we arrived. This article in the words of Daniel Fairbrass, “is to tell the story of the best week of my life”. We arrived around lunchtime on Sunday and surprisingly there was great swim availability. 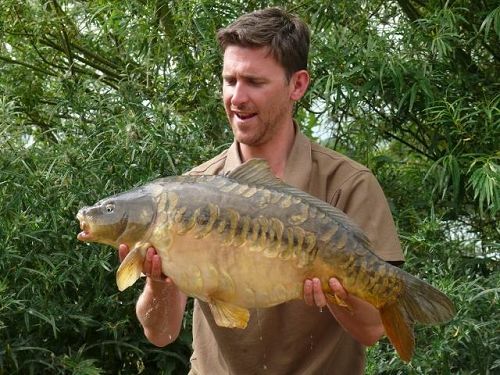 Our style of fishing best suits either Brasenose 1 or 2, or Oxlease and having a choice was not something we are used to at Linear Fisheries due to its popularity. We selected to fish Brasenose 1 on the road side due to showing fish and the knowledge of the weather conditions for the coming week. My friend and I have differing fishing styles as I really enjoy zig fishing and spodding is one of my most relaxing past times and my friend is more technical and precise, setting traps and waiting. Our styles benefit each other as we cover most options which through experience is very important when fishing LF as it is known that the fish are highly unpredictable and can act unexpectedly to atmospheric conditions. We jointly decided to fish singles on the first day and night as the amount of bait that is poured into the lake continuously means that you have an opportunity to watch the water and assess the patterns and feed cycles of the your swim. The aim was to fish the week as individual day sessions as the predicted weather conditions for the week ahead forecasted unsettled weather. Day 1 came and went, as no action was seen due to high pressure and the visible fish cruising rather than feeding. This did not dishearten us as this is common for LF and normally when the temperature drops the fish become more active and hungry. Day 2, I was awoken by my friend calmly asking if I could take a photo for him. 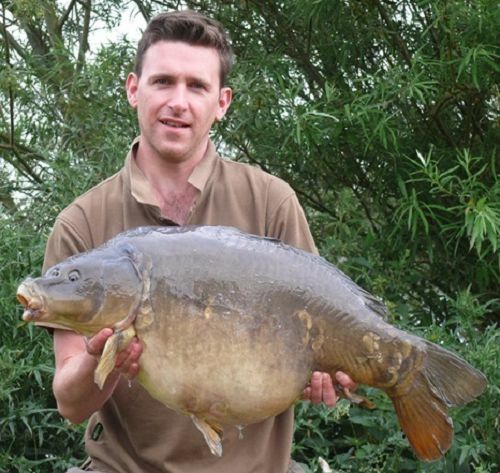 I wondered over to his swim to see the biggest smile on his face, like the one Daniel Fairbrass had when he hooked ‘the big plated’ on the underwater filming. Once I looked in the net it was clear that he had caught a leviathan. What a start, 30 plus pounder, beautiful carp caught over a lightly baited area approx. 70 yards out. The session had started and it wasn’t long until I had caught my first carp on zigs at range, a stocky around 9lb, but a fish is a fish and the god forsaken blank was eliminated. Happy Days all round. Day 3 and 4 went by with little action for me due to intense heat and high pressure not suiting sloppy spodding but I persevered like a mad English man in the midday sun. My friend had better luck sticking with the spot that had produced the beauty, landing a couple of nice fish including a twenty and upper double, all nice fish. had two in the net and was playing a third. The fish were all of a similar stamp, upper doubles but catching and finally hearing my alarms work was priceless. 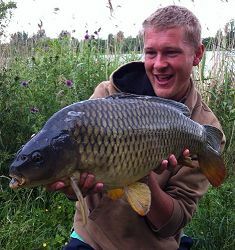 My friend enjoyed further success including a stunning fully scaled mirror and perfect 18lb common. He had adapted his style to the conditions and had a rig very close in, approx. 12 yards and at range. is fish were caught on all types of rigs including chods, snowmen, zigs and double boilie AKA the ‘Nuts’. 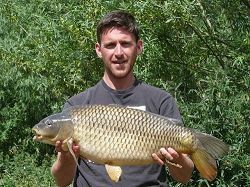 We ended up landing more fish than we ever collective have, more weight of carp than we have ever and broke a PB. The trip has reiterated our love for the complex and increased our knowledge. LF can be a nightmare for any angler but from experience being confident and active is the most important thing. Concentrate on taking note of where the fish appear at certain times and be proactive in your fishing style. As mentioned, the rig and bait can have impact on getting bites but is not crucial, more important is the location of your rig and bait at a certain time of day. Linear Fisheries can be smashed and you can ‘bag up’ like Thomas Maker or Daniel Wildbore if you are in the right location at the right time of day. Location on the lake is significant although fishing your swim correctly is more important. Many thanks to Linear Fisheries and Roper bailiff brothers. Jon Dunbar and Simon Robinson.